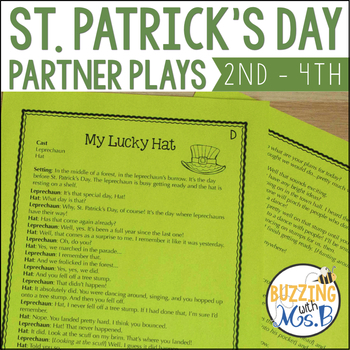 This set of St. Patrick's Day partner plays includes four different reader's theaters for students in grades 2 - 4. 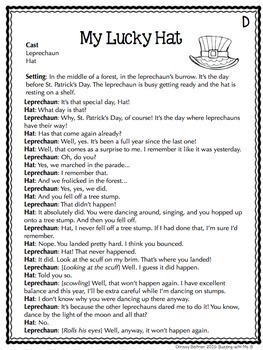 Partner Plays are two-person plays designed for partners to read together! 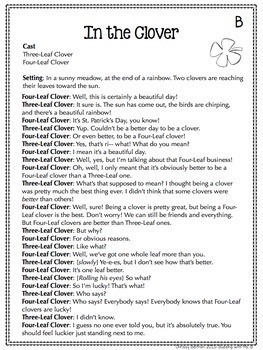 These plays include a two-person cast, stage directions, and dialogue. They are perfect for partner work, daily fluency practice, a presentation for other classes, or to put in a reading station or center, such as Buddy Reading or Read to Someone. This product, once purchased, is for personal classroom use only. Not for resale or distribution. Not to be uploaded to any bank of resources. For more free and affordable teaching products, follow my store!